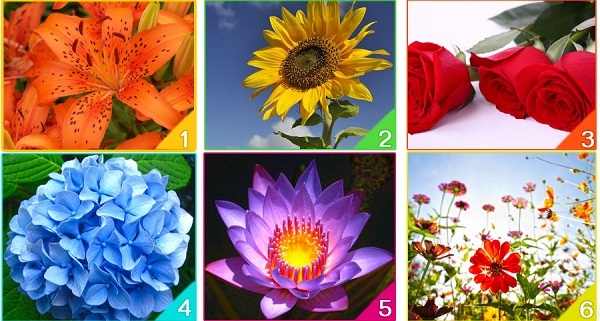 Which Flower Represents Your Spirit? Flowers speak with our souls more clearly when our minds don’t get in the way! So we invite you to focus. Become aware of your feet on the ground, your body in your chair and your breath in your lungs. Observe how you feel while you look at the flower that attracts you most, for example... peaceful, inspired, comforted, reflective. Did you make your choice already? Then all you have to do is to read below. You have the soul that shines strongly with intense passion and your spirit is that of the Tiger-faced Lily! You have a very determined character and you are not alien to life’s difficulties. However, your spirit possesses the ferocity of a tiger, which allows you to move forward against all odds. You shine through life with bare teeth and sharp claws, approaching each new obstacle with the same intense vigor that you had with the previous one. Your powerful aura always draws people towards you. You inspire people with your energy and creativity. Things wouldn’t be as much fun without you. The Lily also symbolizes purity and refined beauty. You are optimistic, curious and adventurous – the perfect mix. You are energetic and jovial and your spirit is that of the Sunflower! You are a social butterfly, your brain has a constant flow of events, ideas and possible outcomes, which can sometimes make it quite difficult for you to concentrate. Your magnetic personality and your energy is eternally irrepressible, it can be overwhelming for some, but there is no situation or problem that you can’t see on the positive side. At some point in life, you simply decided to “be happy”, and the world has been a much better place since then! You are intellectual and romantic and your spirit is like the Red Rose. It’s a powerful flower associated with the dramatic moments of life. For you, the Red Rose means much more. The layers of your spirit are complex but graceful, as are the intricate petals of a rose. Your sensual nature, along with an insatiable desire for knowledge, drives your romantic spirit … And nothing lights the fire inside your soul, like a good book. You are a provider and family oriented. Your spirit is that of the Blue Hydrangea. You provide support and love, your spirit is represented, not through a single flower, but through a wad of elegant blue petals, representing each and every one of the souls, with which you have a deep connection. Many loved ones trust you, and get strength from you and you are happy to give it. However, you must be careful not to allow others to step on you, because standing firm is not natural to you. You are a truly kind person, a quality that unfortunately is not fully recognized and is very despised by the majority. You are thoughtful and tranquil by nature and your spirit is that of the Sacred Purple Lotus. You are a reserved person, whose wisdom is unlimited, you are very introverted, which at the same time is a safety net for you. Your conscience constantly reflects and your lonely tendencies lead others to confuse your stillness and quietness, by carelessness, which is simply not the case. For you, “balance” and “spirituality” are achieved only through oneself and achieving serenity and peacefulness is something worth dedicating your life to. You truly feel at home in nature and you have an “old soul” and your spirit is embodied in the Wild Flowers. You are a deeply creative and flexible person, you see yourself directly affected by your environment and your mood will change, depending on your environment. Creativity and art are not simple hobbies for you, but part of life: you only need water and soil. Your soul truly wakes up while listening to music, walking through a forest or placing your thoughts on a canvas. 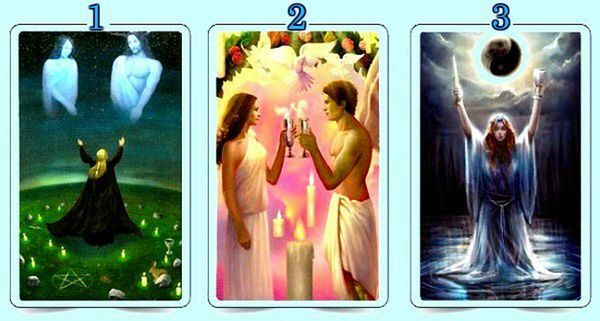 Pick The Card You Like The Most and Discover It’s Meaning For You At This Time In Your Life! These tarots are full of wisdom, advice and life lessons. All you have to do is pick the card you like the most and read to discover the meaning it brings for you. 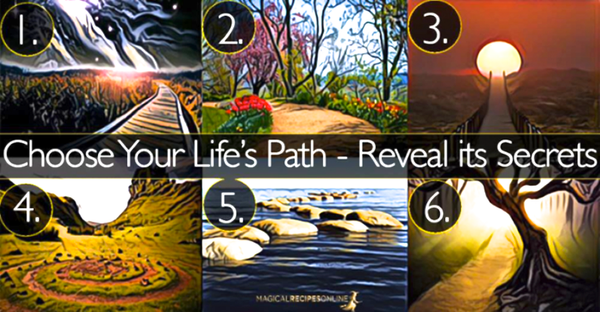 Select a Path and see what it reveals about your life philosophy.